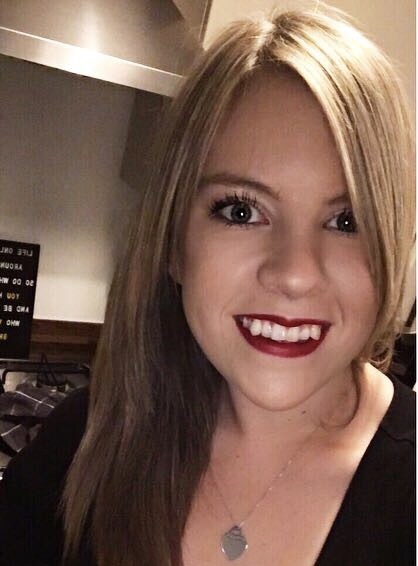 Quite a long time ago now, I went sulphate free for 2 weeks with some products from the Naked haircare range, I have to say I wasn't wow-ed by the experience with those products, I didn't see enough of a difference in my hair and it never felt as clean as it did if I used products containing sulphates. 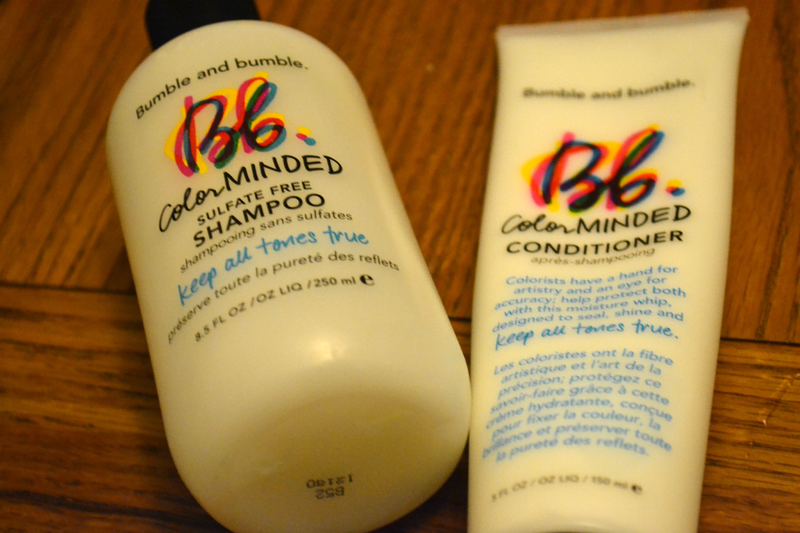 It's been just over a year since I did my 2 week sulphate free detox so when I was kindly sent some Bumble and Bumble shampoo and conditioner I was interested to see whether more expensive products meant that they'd perform better than high street products. Bumble & Bumble Color Minded Shampoo* £23.00 I looove the smell of this, it smells soapy but expensive soapy; such a rubbish way to describe it but what I mean to say is that it's not heavily perfumed by overpowering fruity smells or anything like that. It leaves my hair feeling SO clean, I tend to double cleanse but with only a 20p sized amount the first time and a 5p sized amount the second time (I have quite a lot of hair so a double cleanse definitely is necessary no matter what). My hair is dyed blonde and I've found that this has helped to stop it looking brassy and off-colour which I'm really impressed with. Bumble & Bumble Color Minded Conditioner* £25.00 The first time I used this I put it way too near the roots of my hair and the crown of my head was left feeling pretty greasy (probably half my fault for not rinsing properly) but after the first time I made sure I only used a 20p sized amount just to do the very bottoms of my hair and this is working well for me, the ends of my hair are nice and soft but not weighed down in the slightest. I just wish I could find a conditioner which I could use further up the shaft of my hair (shaft... what an awful word) because it feels a bit dry and strawy and quite hard to brush which means I still need a serum to fight the frizz. Overall I usually have to wash my hair every day, if I want it to look in an acceptable state for public viewing but as time went on using this I found that I could leave my hair 2 days without washing, I might need a little dry shampoo towards the end of the second day but I'm so pleased with the progress it's made. One more day might seem like nothing to some but believe me when drying and straightening your hair takes as long as mine, you cherish the days you don't have to do it. I do believe that these Bumble and Bumble products have helped a lot a. because they're sulphate free and b. because they're quality products. I don't believe that Bumble and Bumble products pile any unnecessary products onto your hair which is why it doesn't feel greasy so quickly! It does seem a bit barmy, spending nearly £50 on shampoo and conditioner but I find that I never have to buy shampoo and conditioner at the same time (one always runs out before the other) so it's just over £20 for each. What I'd actually be tempted to do is just use the shampoo from this range and use a different conditioner, I'm just not sure if using a conditioner using sulphates is defeating the object of using a shampoo without them? Do you think it could work if I used a sulphate free shampoo with a conditioner which contains sulphates? I had the tiniest sample of these two and really enjoyed them, but I was so disappointed when I saw the price tag! Ouch. Great review though, I agree with just using the shampoo. Have you tried using pure coconut oil as a conditioner or cider vinegar? both are really good and of course free of nasties. I really like the shampoo in this range, but yeah, I didn't get on with the conditioner either - Bumble and Bumble's Super Rich is an amazing conditioner, I use it on my roots but literally only leave it on there 30 seconds! I'm looking for a good cheaper sulfate free option for shampoo at the moment as I've ran out of the B&B (I got three of the travel kits at xmas!! ), and my Aveda Brilliant is on the dregs now...eek!